Hanna Live @ The Lights Fest - Apache Pass, TX, 10/07/2017 singing to about 6,000 festival goers! Hanna Barakat Live @ The Lights Fest - Austin, TX 2017 singing to about 6,000 festival goers! Hanna's passion for music has no limits! Whatever she loves to listen to & jam on, she pulls in to her setlist to perform for you! Hanna covers timeless artists such as Adele, Sia, John Legend, Michael Jackson, The Beatles, Steely Dan, Justin Timberlake, P!nk, & many more! 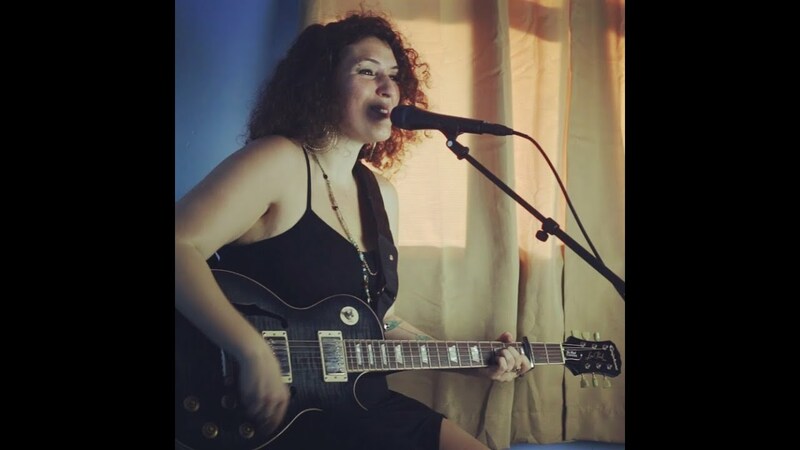 Hanna sings & performs on an electric guitar, controlling a high quality vocal & guitar effects processor foot pedal. With this pedal, Hanna is able to produce natural vocal harmonies, as well as simulate varies guitar effects, creating depth & a beautiful production of your favorite tunes! *Hanna offers a solo, duo, & full band act! AhhhhMazing! Hanna is more than awesome! I had an unusual idea for our 15th anniversary. I would surprise my wife (and bring the kids along to show them how special 15 years together is) with a limo. The last time we were in a limo was 15 years ago to the day at our wedding. I would surprise them again by asking Hanna to stand on a corner in Austin with her guitar, and jump in the limo and start singing. We stopped at all the cool places (capital, congress bridge with the bats, murals, long center, etc. ), while Hanna sang and played her guitar. She was freaking awesome! I couldn't have found a better artist if I tried. Covers were great and originals will be hits. My kids were singing along like they were with their best friend. Hanna was more than amazing, and we're lucky that we got to spend this special occasion with her. She made it even more special. Awe Shucks! You all are too sweet! The pleasure was all mine! You and your family were just amazing, and I had such a wonderful time, riding around and serenading you all! You have beautiful and very talented family! Bravo, on a brilliant surprise - very well executed, David! You will LOVE this girl! Hannah is a stellar performer! Her voice is beautiful and soars! Her guitar accompaniment is tastefully done without overpowering, and a good balance between voice and instrument. She adds harmonies with the flip of a foot switch, and sounds like an angel. As a singer myself, I would put her up there with the best of them. Range, control, tone, phrasing and interpretation makes this girl a great asset to any musical production. She was prompt, polite, entergetic and helpful from the moment I contacted her til the last note was played! You're lucky if you have the chance to hear her- and will delight your audience at any venue! Linda! You are too kind. Thank you for your lovely words. It was an absolute pleasure to be a part of the Austin Sunshine Camps Carnival! I’m so happy that it was a success. I loved every minute of it, and I hope we get a chance to work together again in the future! Hannah was perfect. Her voice is great, her song selection is great, she's professional and super friendly. She also learned a few specific songs for us even though it was short notice. Everyone at the party was complimenting her so much that we asked her to stay and play an extra 2 hours and she happily did. The party would not have been the same without Hannah. I would recommend her to anyone and will definitely hire her again!! You and your husband put on an absolutely beautiful event for your new little man, welcoming him to your family and friends. It was an honour to be included in the celebration of your baby boy. I was overjoyed that you and your guests enjoyed my performance and song selection, and I am especially pleased that you both were so happy with my rendition of your special request songs. I saw you both dancing together when I started singing them, and I realized these songs have a special meaning to you two, which made them all the more special to perform! I will definitely be adding those tunes to my repertoire! I look forward to working with you again soon! Hanna did a great job for our small dinner and after-dinner gathering. She did a great job meeting our requests and blending in with our older crowd. Thank you, Alan! You all were very welcoming and fun to interact with. I had a great time, and I’m glad to hear you all did as well! Hanna Made our Evening Memorable!! We booked Hanna to perform at my fifty-something birthday party. She helped us pick the best songs for the evening out of her large repertoire. She arrived on time and quickly set up her equipment. Hanna's delivered a memorable performance and our guests had a fantastic time. She helped make my birthday celebration memorable. Thank you, Hanna! Kudos to GigSalad for coming through for us. I highly recommend Hanna. Thank you, Gilbert! You have a lovely family, and it was a pleasure entertaining you and your guests for your birthday celebration! These guys came at such short notice with very reasonable prices and rocked our lunch hour for cast and crew. They took requests, had a bunch of songs on hand that a lot of folks were excited to hear, and were so very nice. We cannot wait to invite them back again! Hana was Amazing!!! I would definitely use her at my future events!!! Thank you so much Niki! I had an absolutely lovely time last night. I hope the fundraiser was a great success! I had a small get together in my home . Hannah's performance was flawless (that voice) and had everyone wanting more. She engaged well with everyone and we all loved her personality . Can't wait to go see her upcoming shows . We booked Hanna for our wedding venue open house for a cocktail hour. It's hard to find a vendor that can entertain and create a great atmosophere at an open house but also keep it professional at the same time. She managed to do this and so much more and we will definitely have her back! Not only would we like to use her for business events but our coordinators can't wait to recommend her to our couples. She was an amazing musician and we are so grateful she was available. Wow, thank you Natalie! I can assure you, the pleasure was all mine! You have an exquisite property and an awesome and kind staff family. Seeing all that you offer at the Waters Point made me want to get married all over again! Thank you again for having me out, and I so look forward to working with you and your team in the future! Hanna has an incredible voice and can take any party to the next level! Please do yourself a favor and hire this girl for your next event! Thank you Krista! You have a beautiful family, and It was a pleasure to entertain you all. I so look forward to working with you again at your event space! Fun Group - Hanna is Great! 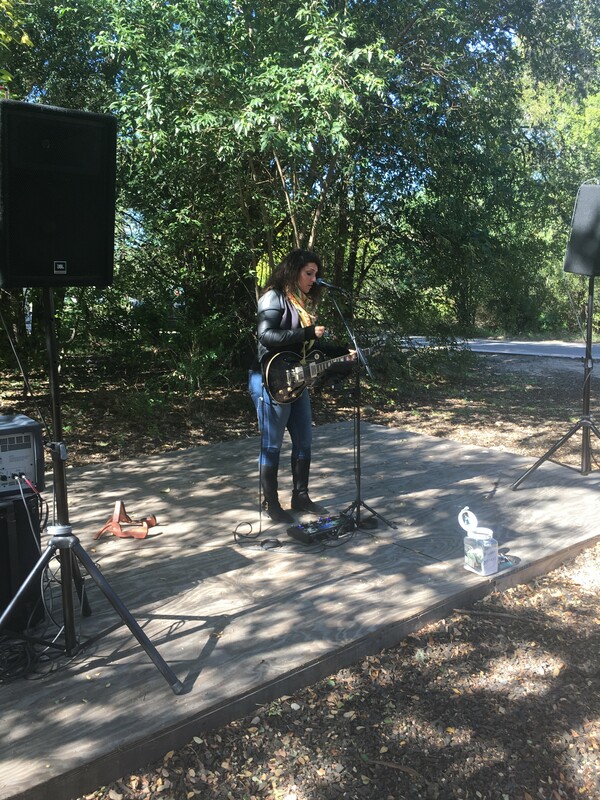 We had Hanna play at a private Lake Travis house party in the backyard one afternoon. From the outset, she was very hospitable and super easy to work with. She even helped us get a discount on our rental equipment which was a huge help! The full band is made up of very talented musicians and they played an energetic but chilled and laid back set. It was a great complement to our party and everyone enjoyed the music. Would definitely work with Hanna again in the future. Thank you Michael! It was a pleasure working with you, and I so appreciate your help in coordinating the entire event. We had a wonderful time out at the lake house with you and your fellow graduates! Congratulations to you all! Hanna and her band played for my husband’s 50th birthday. The event was at my home and the band arrived on time for set up and played for over two hours. We thoroughly enjoyed the music and she gave my son an opportunity to play his sax with the band as well. Very professional and accomplished. Highly recommend Hanna Barakat. Thank you, Amrita & Rajib! It was an absolute pleasure to be a part of your celebration. You have a beautiful and very talented family! And you most definitely know how to celebrate life! Thank you for including us! Thank you Kay Dee, your grand opening was awesome! It was a pleasure being a part of the festivities. Thank you for your kind words. And most importantly, thank you for your support and patronage. I look forward to seeing you and your husband out at more of my shows! Hanna was fantastic to work with. Very responsive, professional and SO talented! She hired some musicians to play with her and make a full band, and they were amazing as well. They really went the extra mile to make our event a success. Thank you so much, Jenna! The band and I had a blast, and it was so much fun being a part of your ARCOS parody songs! You guys killed it! It was a pleasure, all around! Thank you Jacquelyn! Congratulations on your new beautiful eatery! I wish you all the success in your endeavors! Hanna is amazing! Very professional, easy to communicate with and does a great job staying in touch with updates. She did a singing telegram for my wife on her birthday. She performed in her office singing and playing guitar. Happy Birthday, The Beatles and Michael. Jackson. Very talented, amazing voice and great on the guitar. Would highly recommend her to anyone. I also plan on using. her again in the future. Thank you Steven! I love that you both give the gift of music any chance you get! I am so happy the surprise was a success, and I look forward to working with you both in the future! 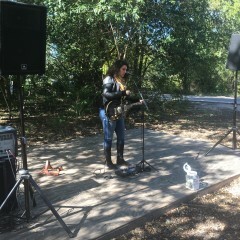 Hanna Performed for Us at Skye Luxury Senior Living in Leander .She was well received ! Her style was very pleasing to the ear . We plan on Booking Hanna on a regular Basis and I would highly recommend her . She is very personable and easy to work with . Contact and Communication was Amazing . Thank You Hanna - See you again soon. Thank you so much Cheri! Skye is a wonderful community, and you and your staff and residents were so welcoming and kind to me. It was a pleasure to entertain you all, and I look forward to coming back out soon! Great fit with our event. Hanna related well with our group and delivered what we planned. Thanks so much and good luck to a talented young woman. I hired Hanna to sing at my husbands 40th birthday dinner. She was prompt, organized and professional in preparing for the dinner. She was very accomodating in learning new songs that were not on her extensive set list. Her sound was even better in person. She sang and played beautifully. I would hire her without hesitation. HI Melinda, Thank you for your kind words. The whole setting was beautiful, and I am glad to know you and your husband enjoyed my performance. I was happy to be a part of it! Hanna was there for my engagement evening. She did such an amazing job. I had 30+ guests and everyone loved her. She catered the set list perfectly to the occasion and our preferences. Highly recommend her and look forward to booking her again. Thank you so much, Fadi. It was an absolute pleasure being a part of your beautiful wedding proposal. I am happy to hear that everyone had a wonderful time. I wish you both a long and prosperous life together! Beautiful, unique voice. Great song selection. Hanna was and excellent addition to the reception we hosted. She has a unique and lovely voice, is very talented, and sang perfect songs for the occasion. She is professional and great to work with. Thank you Liz! It was a pleasure and a real treat to perform for your executive guests. The setting was beautiful, and your guests were very kind and receptive.I hope the following days of company retreat time were a great success. Take care! Hanana did an absolutely fantastic job with my event. She was playing for a surprise engagement and nailed it. Hanna was completely open to new song choices and has a beautiful voice. She helped make the event very special. Thank you so much for your kind words. The pleasure was all mine. You two brought tears to my eyes! Congratulations on your engagement, and I wish you both all the happiness in the world! I asked Hanna to perform for a surprise dinner for my wife. We had discussed before hand a song selection. She did a great job and my wife and I had a lovely evening. Thank you so much, Craig. It was my pleasure. I'm so happy you both enjoyed it! Hanna is a total professional. Every time I had her perform she keeps in touch every step of the way until the gig, has a keen sense of the best songs to play and has a killer voice. Talented, versatile, hard working and EASY TO WORK WITH!! No ego....any type of client would be very happy to work with her every chance they get. Professional from equipment to song choice to attention to detail with class, that is Hanna. Hanna Barakat is a Lebanese-American singer/songwriter/guitarist, graduate of Berklee College of Music and international performer. Influenced and inspired by hard rock and popular music styles, Hanna’s unique style merges Arabic/oriental influences for powerful and genuine connection with her audience. Socially and politically charged, her passion-driven compositions and performances often add Arabic ornamentation, as well as other musical influences to transcend language and borders to touch the heart. Hanna Barakat is an experienced international performer, with a vast repertoire under her belt. She offers a solo, duo, and full band act, for private parties, gallery openings, weddings, hotels, and pub/restaurant/cafe events! Whatever you need, it can be accommodated! 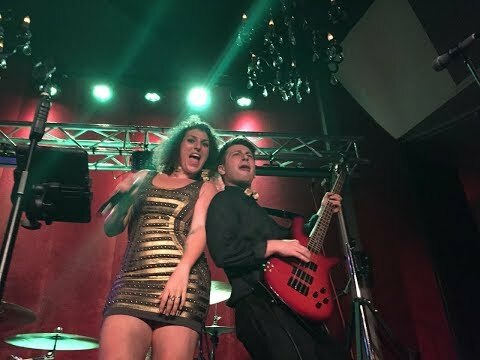 With such versatility and extensive experience, Hanna has the ability to tailor the performance to your desired audience and clientele, perform many genres of music, from R&B to Country to Pop/Rock to heavy Rock and Roll and soft jazz. Hanna's repertoire has songs from artists such as Michael Jackson, Janis Joplin, The Beatles, Justin Timberlake, Katy Perry, Adele, Neal Young, Tracy Chapman, Bob Marley, Aerosmith, Bruno Mars, Jewel, Gavin DeGraw, Lykki Li, Ben L’Oncle Soul, Mumford & Sons, The Lumineers, John Legend, Whitney Houston, Radiohead, Police, Chris Isaak, Hooverphonic, Aerosmith, Maroon 5, Ray Charles, Gotye, Aloe Blacc, Old Crow Medicine Show, and many more! Special requests can be accommodated, with advanced notice. Passionate about her Lebanese heritage, Hanna strives to represent the culture, language, music and, most importantly, the social/political struggles. She was a member of the Berklee Middle Eastern Fusion Ensemble for two years, performing with distinguished artists such as Simone Shaheen of Palestine, Bassam Saba of Lebanon, Erkan Ogur, and Laço Tayfa's Hüsnü Şenlendirici of Turkey. She also performed with the New Kids on the Block, Kirk Franklin, and the New York Gypsy All-Stars. She personally directed and performed in the group representing the Middle East in the Berklee 2009 International Folk Festival. She headlined at the Boston “House of Blues” main stage in May of 2010. At 21, Hanna moved to Beirut, Lebanon, to pursue two of her true loves: music and the Arabic language. She performed her original fusion music, as well as a variety of cover tunes throughout the country, forming a deep bond with her band mates and forging a lasting impression in the community. From there, the world was her stage, traveling, performing and living abroad. Influenced and inspired by hard rock and popular music styles, Hanna combines Eastern music with contemporary Western music, demonstrating her own varied cultural background while connecting with others – both those displaced from their homelands and influenced by multiple cultures around them, and mainstream audiences that appreciate writings of personal encounters, relationships, life issues, circumstances and, of course, love. The simple concept of combining world music styles (Eastern Rock Fusion) allows for intercultural connections among the musicians as well. Musical Director | Songwriter | Lead Singer | Manager Booking and performing solo, duo, or with a full band for public venues, private & corporate events, weddings and festivals. Original music as well as cover acts, tailored to occasion. Working with executive producers Rob Rose and Ken Zambello on all musical events held at and for Berklee College, managing back stage productions, auditioning singers and players for major productions, emceeing events and acting as personal assistant for all guest artists on location. “The Alamo,” featuring Dennis Quaid and Billy Bob Thornton, Austin, TX, 2003. 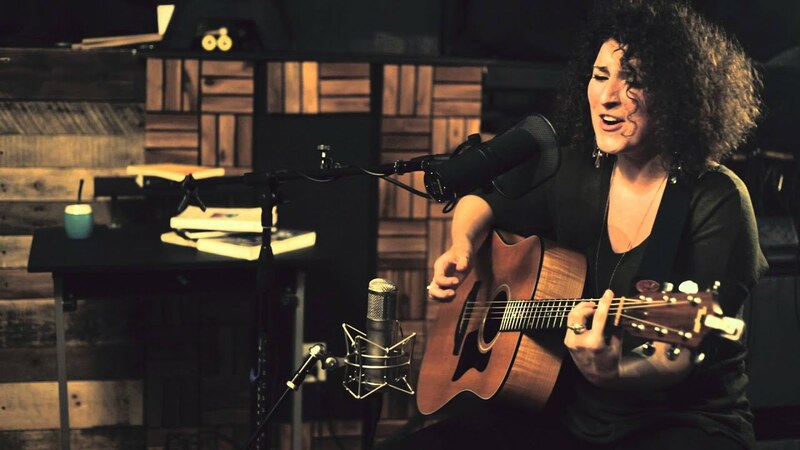 Hanna performs through a TC Helicon VoiceLive 3 Extreme vocal and guitar effects processor that allows her to utilize natural vocal harmonies, as well as embellish guitar effects, as songs demand. For smaller venues and private events, requesting Solo/Duo acts, Hanna can provide her own professional PA system for her act. For larger events, requesting full band, a full PA system with at least 8 channels will be required. Lighting is not provided, at this time. Varies per venue and per act. Please contact directly, upon booking, for equipment requirements.